Description: Cusco, the capital of the Inca Empire and gateway to the imperial city of Machu Picchu is one of the undisputed highlights of South America. Stately and historic, with stone streets and building foundations laid by the Incas more than 5 centuries ago, the town is much more than a mere history lesson; it is also surprisingly dynamic, enlivened by throngs of travelers who have transformed the historic center around the Plaza de Armas into a mecca of sorts for South American adventurers. 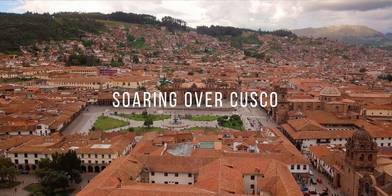 Yet for all its popularity, Cusco is one of those rare places, perhaps like Bali, Katmandu, or Prague, that seems able to preserve its unique character and enduring appeal despite its growing prominence on the international tourism radar. Taken with the DJI Mavic Pro in March 2018.